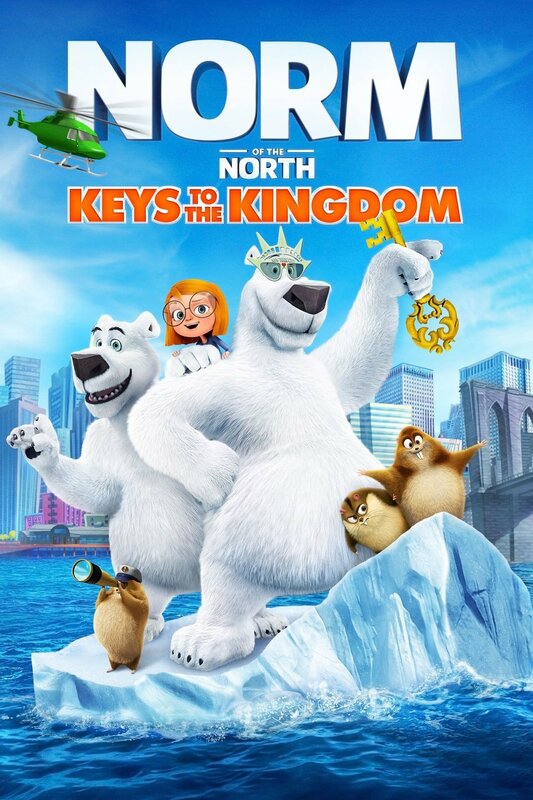 In 2016 Norm of the North entertained audiences with a cute animated film about a bumbling Polar Bear. 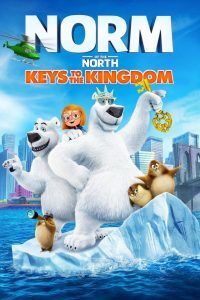 Now Norm is back for a sequel – Norm of the North: Keys to the Kingdom. This time Andrew Toth voices the big guy. Norm has just been crowned polar bear king of the Arctic. Sure, he’s still a bit of a bumbling fellow, but he has a good heart. And his friends back in New York City want him to return for a celebration in his honor. When Norm heads back to the big apple, he takes along his son Quinn and the lemmings. In NYC Norm is hailed as a hero and given the key to the city. This key opens every lock in NYC. Things are going pretty well for Norm. He is articulate and presents a great image of himself. But the next day he is no longer the hero of New York, but the villain of the city. Someone has stolen all the money from several banks using Norm’s key and wearing a look-alike costume. Norm is being framed for these crimes and it’s up to his best human friend Olympia, Quinn, and a banker named Fong to expose the real criminals. Soon Norm is once again the hero of the city. Upon his return to the Arctic he comes across some other evils. A bottled water company wants control of the Arctic to use the ice for fresh water. The bottles and cups are already being trashed all over the land, and now Norm must deal with the ecological issue of the trash as well as the company that wants the land. Who will prevail for the Arctic? Will it be Norm and all the animals who call the land their home or will it be the bottled water company and their scheme to take the ice for their own profits? Norm is a fun character with a lot of heart as well as a good mind. He might not be the noblest king the Arctic has ever had, but he is the most caring king. This family film is not rated however it is suitable for all ages. It’s a fun family film filled with fun family characters. All hail Norm, King of the Arctic. ← Welcome back Bo Peep!